Three weeks now since I started the LIV-RE-GEN and must say that the pain in my side has all gone. My skin is beginning to look much clearer and I feel a lot better than I have for a long time. Will definitely be ordering more of this wonderful product. I have noticed a significant improvement when I started to take Liv Re-Gen. The mild pain disappeared. I will be ordering again. I appreciate that it is all natural ingredients. Definitely a very fine product would recommend it. I found this product very good got rid of bloating feeling. Will certainly be getting again. The order came next day. Excellent product that has really helped to improve digestion. Easy to take and effective at reducing bloating. I have been using another Liver product, as i like my wine in the evening, but i am not so stupid that i do not know the harm this is doing to my liver and other organs. I am careful about my intake, but this is my lifestyle. I started to notice that i was getting very bloated with quite a swollen stomach. At 67 years old, i put it down to age, but i have been very skinny for most of my life? I switched to LIV-RE-GEN, having read the reviews about "bloating" and how this product worked to reduce discomfort and bloating after only a short time. It took about 3 days and my discomfort and bloating reduced dramatically! My only problem is that it has to be taken 2 times a day with food and i only have 1 meal per day. Can anyone advise me about how taking a tablet without food would affect me? I bought this product and it was delivered promptly. After one week the aching in my liver had diminished significantly and I've also quit alcohol whilst undergoing the detox. I've lost some belly fat too and I'm feeling much more energised and alert. Thoroughly recommend the product and this is the second time I've bought them. You won't go wrong, worth the money. 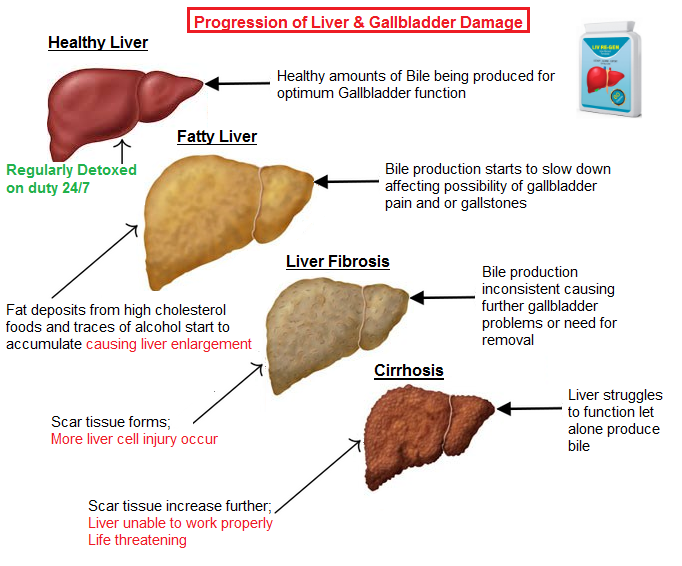 I suffered with severe Gall Bladder pain and also suffer from NAFLD, tablets reduced the pain and almost gone now . All symptoms such as bloating, acid reflux, sensitivity to certain foods has gone now. Very happy and would highly recommend it. It brought me back to life , I feel bether . With less pain. Thank you Lord! Haven't felt any pain in my liver/gallbladder area since I started taking this at least twice a day. Actually amazed how quickly this made a difference!